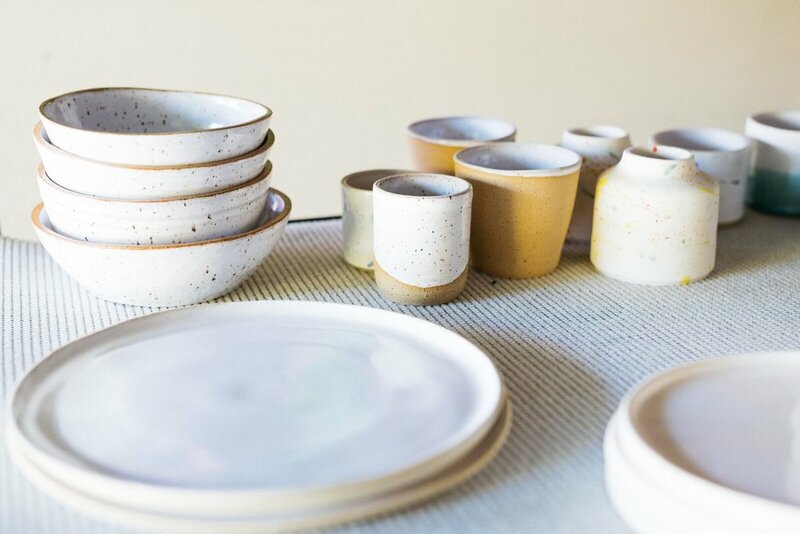 We had the pleasure of getting to know Julie Russell of Plant Provisions Pottery through her words below! 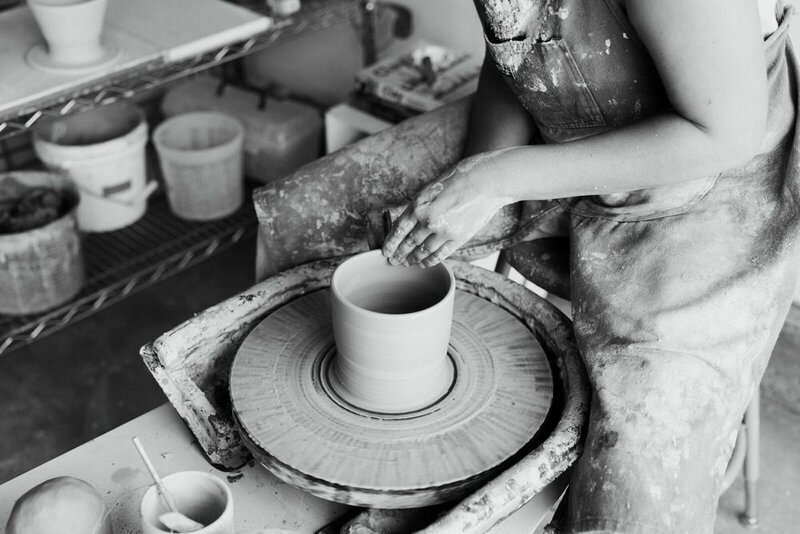 She has led us on a journey, exploring the roots of how her business and love for clay had begun as well as her connection with the natural world! We can’t wait to connect Julie’s story with her beautiful creations which you can find in the Ojai Valley as well as here at our Heritage Goods & Supply Store! How did Plant Provisions come about? Well, to be honest, it wasn't exactly planned. I've always wanted my own business; though could never really decide what I wanted that to look like. I came up with the name "Plant Provisions" at some point with the intention of being able to use it as a pretty big umbrella for anything plant-based I wanted to make...and clay being 'of the earth' still felt fitting. I'd studied ceramics and printmaking in college, then took a 6 or so year break before picking up some clay again in 2016. I felt this real gut urge to get my hands dirty, and starting throwing pottery in a studio at a community center in Seattle...at some point it registered that I was spending most of my free time there. Some friends who own a leather goods company asked if I wanted to sell some of the things I'd been making at a pop-up with them for the holidays, and as soon as I said yes I realized what I was doing. Things started to click. The pop-up was a pretty big success and I figured out that was something I wanted to keep doing - I liked making things and other people seemed to like them too. Everything felt like a bit of a whirlwind from there and Plant Provisions was officially born January of 2017. Where did your love for the natural world stem from? I started going to summer camp when I was 9 years old. Though I'd always loved to play outside in our garden, my parents aren't particularly outdoorsy so I didn't really grow up with a whole lot of experience in the woods until then. That camp had a huge influence on my life in many ways, and living outside most of the time there ignited something in me. Environmental education was a big emphasis, and that (along with a lot of camping and hiking) helped to really ground me to the natural world. Have you always had a connection to working with your hands? Always. I've always been a 'maker', have been creating everything from dioramas to jewelry since I was a kid. My sort of default response to seeing things I like or want is "I could make that", and then often do. Touch is a big way I experience the world, and working with clay kind of encompasses a little bit of everything for me: gives a childlike "playing with mud" feeling, but is also super meditative and focused - and strengthens my mind/body connection. Everything always feels more in sync when I've been able to work with my hands in some capacity; I'm lucky to get that satisfaction through pottery most of the time but also achieve it through cooking, gardening, writing, etc. At the end of each day, what welcome you back home to yourself? Is there a practice or ritual that you do? I've been ruminating on this question because I wish that the answer was yes. Or had some deeply insightful practice...but I really just don't. I more so tend to check in with myself when I first wake up in the morning when my mind is most fresh, I usually drink coffee and try to journal a bit in my favorite chair. My days are so absurdly varied between pottery and prop styling (my other avenue), that I don't tend to ground at the end of the day, BUT I will tell you that I'm an avid flosser and that's probably the one thing I do super consistently every night. Can we call that a ritual?